Parishioners attending the Midday Mass were shocked this morning (Sunday, 17th. February) to learn that the Cross containing a Relic of Saint Patrick has gone missing, presumed stolen. The brass cross, in a locked steel cabinet, and imbedded in a pillar to the right hand side of the main altar, held a bone fragment believed to be that of Saint Patrick. The cross had been donated to Saint Patrick’s Church by the late Leslie Bean De Barra, wife of General Tom Barry and has been in this position for at least 40 years. 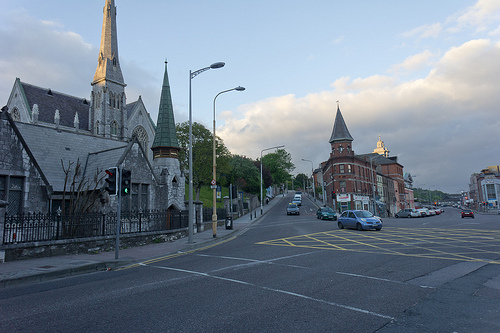 Welcome to the website for The Lower Glanmire Road, Cork City, Ireland. I’d like to hear from you if you have a connection with the Lower Road. Please contact me by e-mail or mobile telephone. My aim is to collect more information about the Lower Road. I will add a section shortly where you can submit your stories about people past & present. 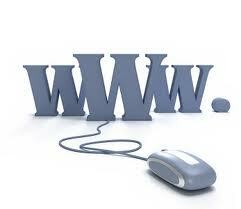 I would also like to hear what you think we should put up here in digital format for the whole world to consume. Maybe connect with people who used to live on the Lower Road. Links to existing businesses, etc. 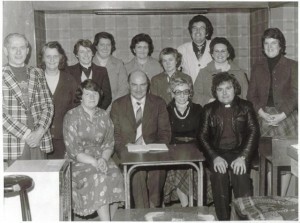 Have you got any old photographs that you would like to share with your neighbours? 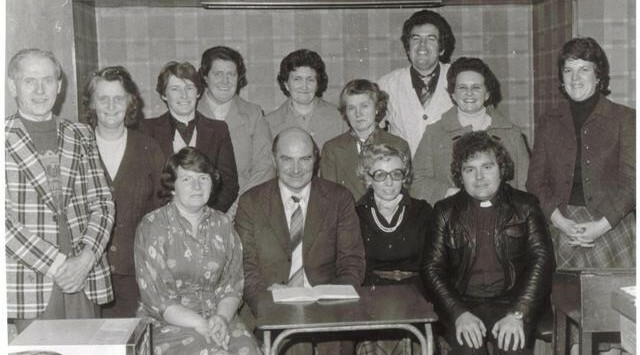 Do you have some information or stories to share about The Lower Glanmire Road? I hope to be able to use a range of media to bring the stories of The Lower Glanmire Road to life with your help. Some familiar family names are on the list! Who lived in your house 100 years ago? 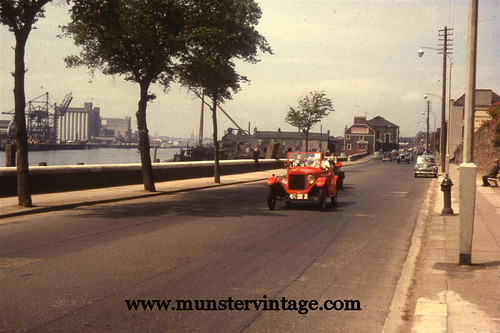 www.munstervintage.com – We’re looking a your assistance in finding details on these pictures from the 1963 Cork Veteran Run – can you help??? Thanks to Robert Swan And William Cuddy who have supplied a few details on the pictures – and to Alan Cavanagh for supplying the photographs. More info & pics here. 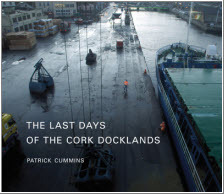 The Docklands have played a central part in Cork’s trading history and, being located in the heart of the city, feature greatly in the lives and memories of the local residents. The book is a visual record of the dockers and stevedores who work the wharfs, the business operators, and the sporting clubs, such as the rowers and the American football players, which use the waterways and fields for recreation. The photographs have been taken over a year and are a mixture of black and white and colour images. The book is large format containing landscapes, architectural close-ups and detailed studies, but with an emphasis on portraits. Patrick Cummins is freelance photographer who trained in the Crawford College of Art and Design. He is two times winner in the Australian Nikon Press Photographer Awards. An application by Cork City Council’s Roads and Transportation Directorate for the following development was made to An Bord Pleanala under Section 51 of the Roads Act 1993 as amended by Section 9 (1) (e) of the Roads Act 2007 and by the Planning and Development Acts 2000–2006. An Bord Pleanala held an oral hearing into the planning application and the C.P.O. of associated lands during 2008 and 2009 and a decision to grant planning permission was made in April 2010. 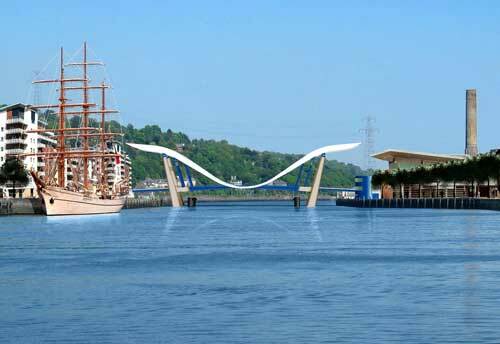 The Eastern Gateway Bridge is a proposed swing bridge and has been designed by Wilkinson Eyre bridge Architects and Arup Consulting Engineers. It is an iconic type structure with a single suspension cable support reflecting its important location at the entrance to the city. Water Street Bridge is a Bascule-type lifting bridge. Its design is aesthetic, with a “seagull” profile to the overhead bridge structure. Both bridges are opening span bridges to accommodate shipping traffic access the Docklands quays. The Lower Road had a rich history of sports teams. A rowing club, hurling and football teams, soccer teams. Do you have any information about them? 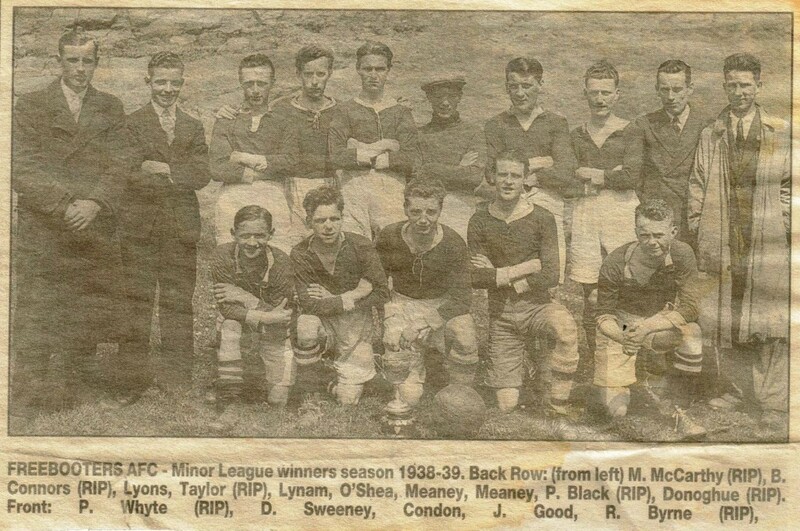 From researching about the club they were in exisitence as a Junior team in the 1924-25 season coming runners up in the Munster Junior Cup. 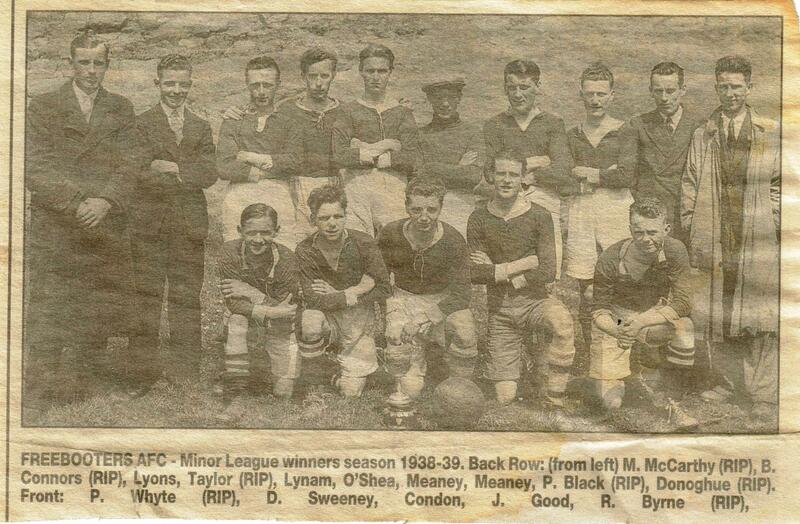 The youths team played in the Munster Youths Cup in 1940-41 season also runners up. 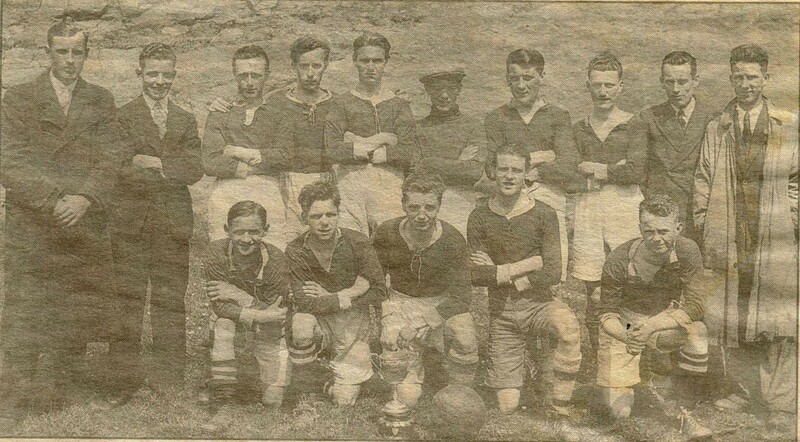 Freebooters (Cork) came runners-up in the FAI Intermediate Cup in 1949 (beaten by St. Patrick’s Athletic) played in the Cork Business and Shipping League, Freebooters(Kilkenny) was formed in 1950 by workers from the Post Office, one of the players had moved from Freebooters in Cork and so they chose the name.